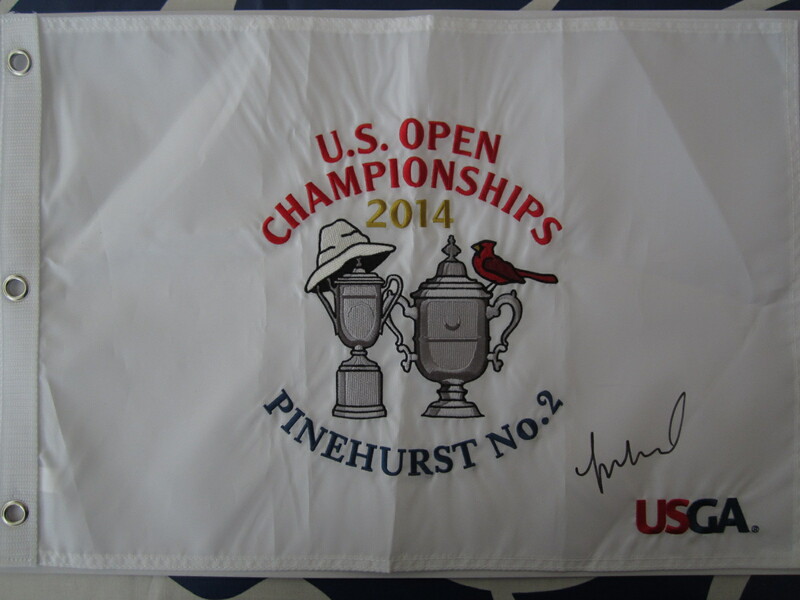 2014 U.S. Open Championships embroidered golf pin flag autographed in black marker by U.S. Women's Open winner Michelle Wie. 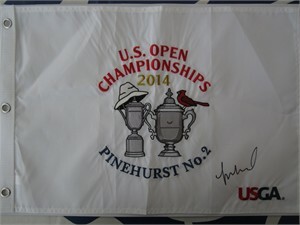 Obtained in person at the 2015 LPGA Kia Classic, with certificate of authenticity from AutographsForSale.com. ONLY 3 LEFT.